Couple In Love Enjoying Boating In The Lake. Portrait Of Young Man And Woman Pedal Boating On The River. Фотография, картинки, изображения и сток-фотография без роялти. Image 106721644. 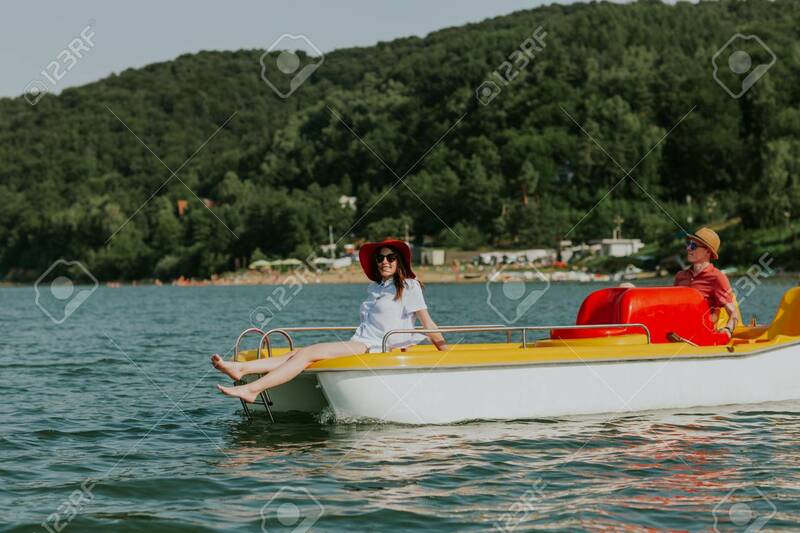 Фото со стока - Couple in love enjoying boating in the lake. Portrait of young man and woman pedal boating on the river.